Wine production in Mexico actually pre-dates the Spanish colonization as the local indigenous populations used wild grapes to create a fermented drink to which they’d add fruits and honey. However, the real wine industry started in the 16th century with the arrival of the Spanish to the new continent and they brought over the vitis vinifera, a variety more appropriate for wine production. Thus, viticulture on the new continent started somewhere between 1522 and 1524. Wine production moved around Mexico via the catholic missions as the sacrament formed an integral part of their religious ceremonies. Mexican wine production suffered tremendously when King Felipe II made production illegal as it was damaging the exports of wine from Spain. This period lasted all throughout the first half of the 17th century. Fortunately, even during this period, grape growing and wine production continued inside the missions keeping the tradition and art alive. Mexico produces wine in zones that are very distant from one another with very disparate geographic and climatic characteristics. Mexican wines have long remained in the shadow of those of its neighbor to the north as well as that of recent newcomers to the international scene like New Zealand and Argentina. Mexican wine producers started in earnest to invest and improve their facilities in the late 1980s to be able to compete on the international arena and it took them about 15 years for brands, such as Santo Tomás and Monte Xanic, to achieve international recognition. Because of the hot, sunny climate, irrigation is needed in almost all locations. Ninety percent of Mexican wine is now made at the northern edge of the long, thin, Baja California peninsula, in the valleys of Guadalupe, Calafia, Santo Tomas, San Vicente and San Antonio de las Minas. 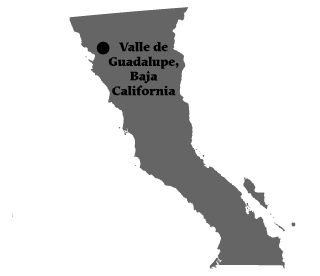 These areas are all now commonly known as “Valle de Guadalupe” which has a Mediterranean-like growing climate. Varietals not commonly used in Napa Valley wines — Barbera, Tempranillo, and Chenin Blanc — grow beautifully here. This area only produces about 4% of Mexican wines and comprises areas in the states of Coahuila and Durango. The most famous wine-producing town of this area is Parras, Coahuila. Its full name is Parras de la Fuente which translates as ‘vineyards of the spring.’ It has been producing wine since 1597 when La Hacienda de San Lorenzo was founded. 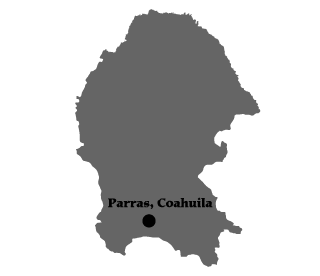 While located in the semi-desert state of Coahuila, Parras is safely tucked away in the Sierra Madre Oriental mountains giving it a better wine-growing climate where varietals like Cabernet Sauvignon, Chardonnay, Merlot, Savignon Blanc, Tempranillo and Semillion flourish. 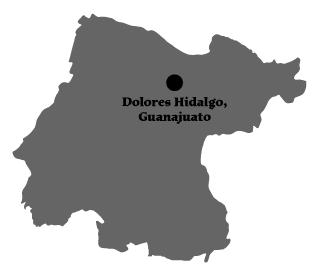 The central region covers the states of Aguascalientes, Guanajuato and Quéretaro. Although Aguascalientes has long been Mexico’s largest grape producer, very little of this production has historically been destined for wine. Recently, however, wineries are sprouting up in the area. Dolores Hidalgo, Guanajuato — the cradle of Mexico’s independence uprising – is becoming a hotbed of wine production in the region. Interesting and more uncommon varietals such as Salvador, Cariñana, Chenin Blanc, Ugni Blanc o Trebbiano y Palomino are often grown here.